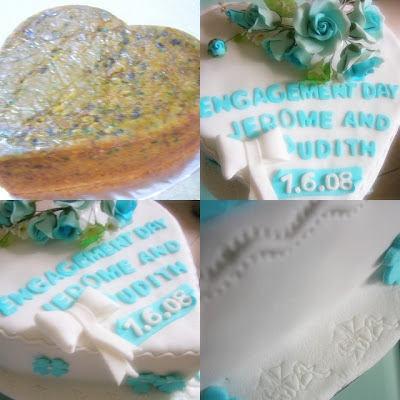 Blue and white engagement cake of a Judith and Jerome. 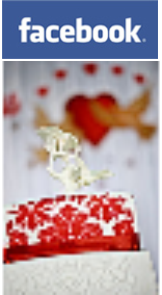 Side of cake was embossed with cupid, the symbol of love. waaa... that cake looks so... well, it looks cute and clean heehe. 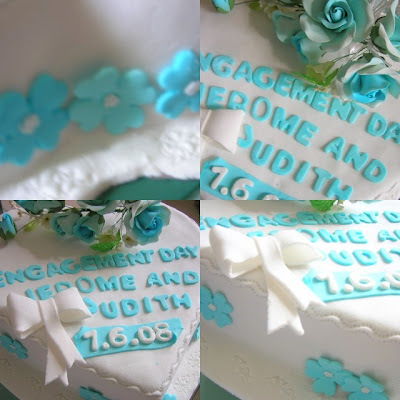 btw, Happy engagement to Judith and Jerome. thank u for the compliment..